AusOpen is an Australian Tennis Sport News App, in which you will find wonderful games updated timely. AusOpen is an Australian Tennis Sport News App, in which you will find wonderful games updated timely. 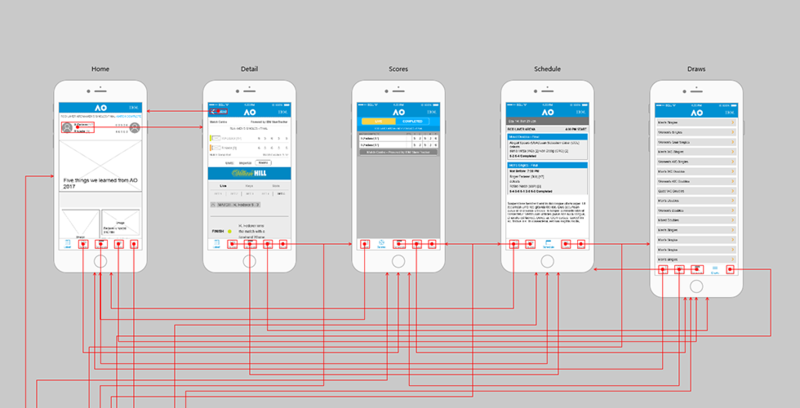 To design such an App, designers should display the game information clearly and meanwhile take the timeliness of sport news into consideration. This prototype consists some repeating layouts like Lists. When designing, I use “Repeater” to create many list items instantly by pulling the handle. That’s awesome. You will want to try it. Pages of this prototype: Home, Details, Scores and More, etc.